Mexican food is much more intricate than no-frills margarita grub. 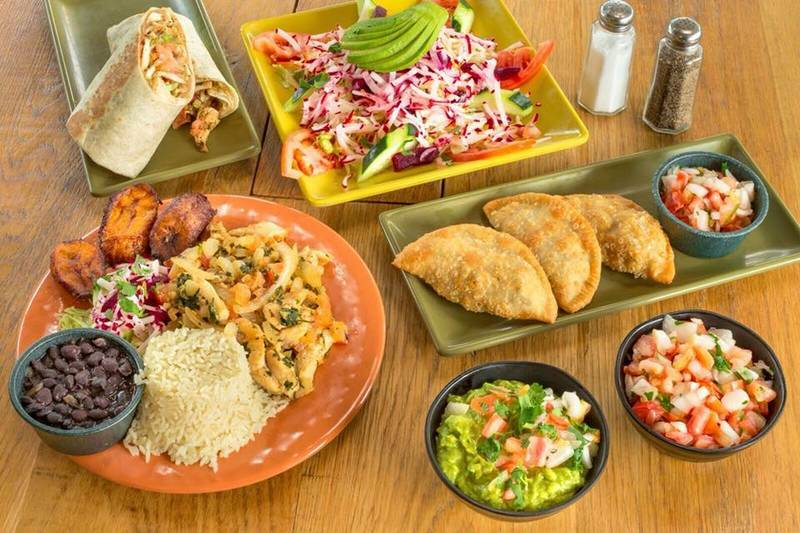 If your idea of Mexican food consists of mushy refried beans and fried ice cream, you could stand to take a few notes from Rick Bayless, Alex Stupak, Jorge Vallejo, and Carlos Gaytan, four of the world's most esteemed chefs in the Mexican cooking arena. Because there are four of them, I'm not going to miss the opportunity to refer to them as the Ninja Turtles of Mexican cooking. At last weekend's Mod Mex event, hosted by Bayless and the Illinois Restaurant Association Educational Foundation at Kendall College, the four culinary titans converged to discuss the state of Mexican cuisine and exhibit its capabilities in the kitchen. Spoiler alert: Mexican cuisine is nothing to underestimate. The thesis for the day's events, as posed by emcee Peter Sagal of NPR, was "What's next in Mexican cuisine?" 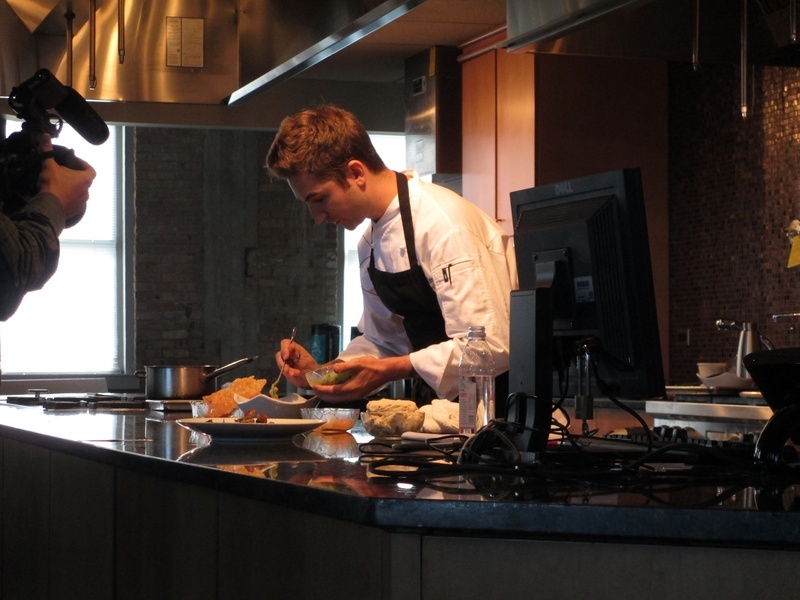 One by one, the chefs took the kitchen stage to opine on their own answers to the question, as well as showcase their personal approaches to cooking and exhibit the versatility of the cuisine. "There's been an amazing explosion in the last few years in the Mexican kitchen," said Bayless, the first to take the stage, honoring his compatriots by adding, "There's a new generation of chefs that I am just blown away by." 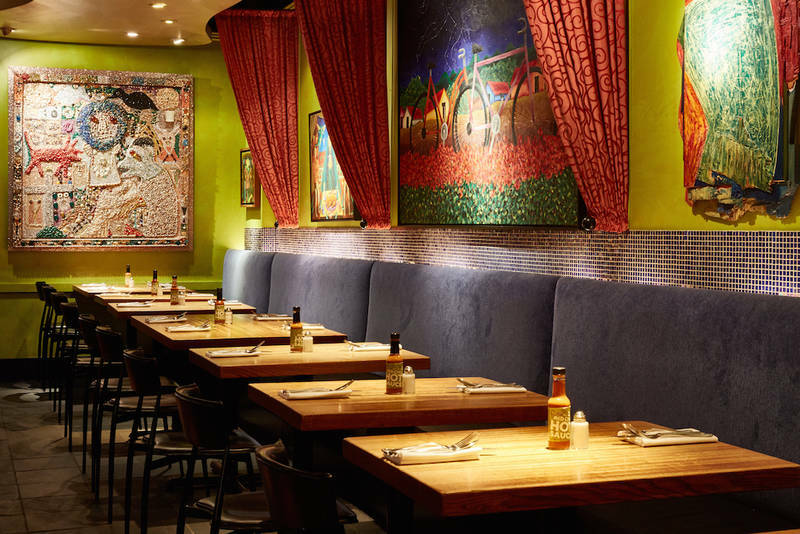 When he first opened Frontera Grill, the Mexican food climate in Chicago was eons behind where it is today, and he explains his initial worry about putting things like mole on the menu. For him, it was about starting the educational process through flavor, seducing people with vibrant Mexican preparations, and ultimately broadening horizons beyond chimichangas. "(Mexican cuisine) goes way beyond Old El Paso taco shells," he says. And oh what a difference Bayless has had on Mexican food in Chicago, the country, and the world. Whereas customers used to dine at Frontera confusing mole sauce with rodents, now they come in and ask why all seven Oaxacan moles are not on the menu. For his Mod Mex demo, Bayless displayed his proclivity for expressing traditional Mexican flavors through local ingredients. Case in point, his "black and white" fried eggplant dish with black beans, pureed huitlacoche, and salsa negra. The plate was white, by the way. Next up was Alex Stupak, the stupifyingly talented pastry chef-turned-Mexican cooking juggernaut from Empellon in New York City. An alum of some of the finest restaurants in the world, Stupak made a name for himself as a world-revered pastry wunderkind, so it was a curious divergence when he went in a savory Mexican direction. The reason? Simply put, he wanted the challenge. "One of the most important things is creativity... trying to do things you don't know how to do," says the chef. "What I didn't know how to do was cook one of the cuisines I love the most." The rest was beautiful history, with Stupak delving into Mexican cooking full-force, opting to offer his own modern interpretation rather than try to tinker with recipes perfected by time-worn Mexican chefs. The modest chef says, "I remain an outsider who is infatuated with it. We do it with a lot of humility." For him, the jump from desserts to Mexican food was not all that odd, considering masa is at the forefront of the cuisine and it's essentially the same as working with a dough. With this modern mentality in mind, Stupak got to cooking a few of his novel takes on masa-based dishes. The first was sea urchin guacamole with masa crackers made by baking tamale batter spread thin on a non-stick mat. Next, thin strips of masa baked on another non-stick mat shaped into waves, striated with sea urchin mousse (sensing a theme here), and flecked with shrimp. 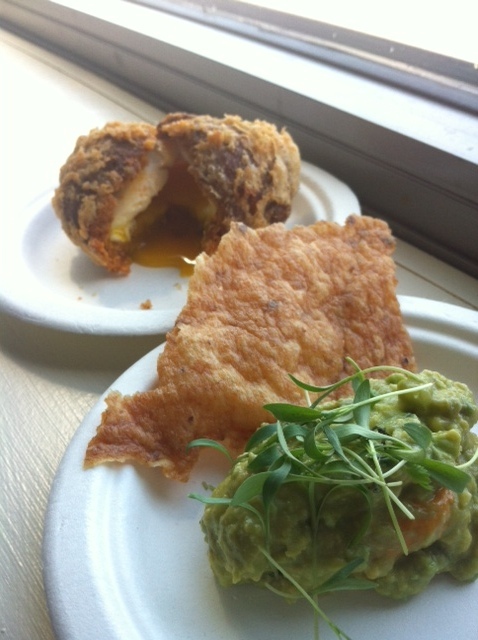 His last dish was an homage to the Scotch egg, re-imagined with chicken chorizo and masa tempura batter. The third chef to take the stage was Jorge Vallejo of Quintonil, one of the most esteemed restaurants in Mexico City. For him, his approach to cookery is simply this: "not reinventing the wheel, just thinking about how it is to cook as a Mexican in 2013." The answer to that question is through dishes such as neo tostadas topped with smoked shrimp, onion ash, finger lime, watermelon radish, and Mexican sea lettuce. Per Vallejo, there are two essential elements to making good food: a good idea and good ingredients. 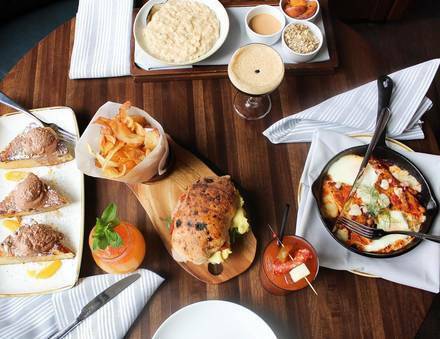 That's why he doesn't veer in too much of an outre direction for his modern ideas, and why he sources 90% of his ingredients from the region, keeping things as local as possible. The last chef of the day was Carlos Gaytan of Chicago's Mexique. Known for his French-Mexican fusion, Gaytan was the perfect finale for a day examining the modern state of Mexican cooking. For Gaytan, it's all about showcasing the versatility of Mexican food and its affinity for worldly ingredients and techniques. The chef grew up in Mexico, appreciating every ingredient at the market and in the fields. He carries those sentiments into his kitchen today, focusing on simplicity and trying not to complicate his cooking. 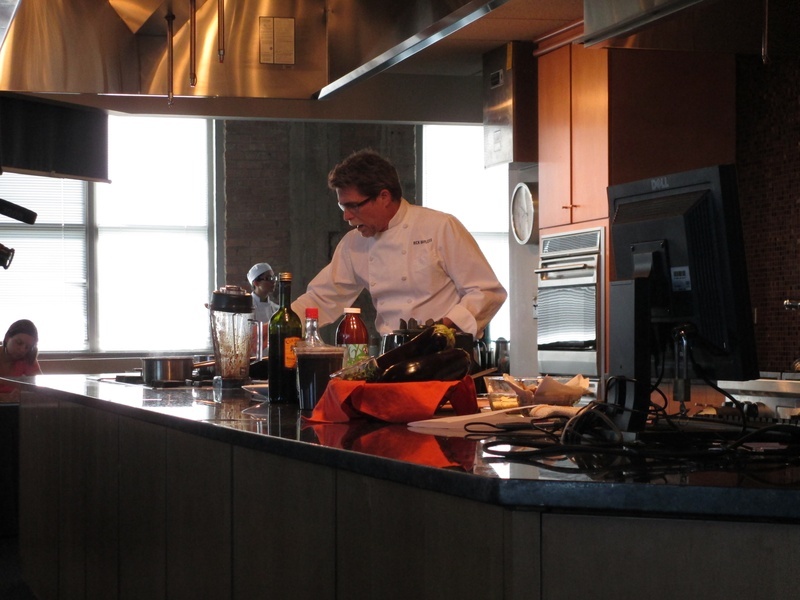 For his demo, he prepared lamb belly huaraches with curry powder ("little details that aren't Mexican"), oranges, ginger, fresh thyme, cinnamon, cumin seeds, eggplant, honey, and vinegar. The dish was an apt example of a traditional Mexican preparation, huaraches aka masa flatbreads, reinterpreted for the modern kitchen. The dish was also an apt example for what Mod Mex was all about, exploring the modernity of Mexican cooking, where it is today, and where it is going.